May 2008 – . : MaGiCLaND : . Well, guess who sent him to the airport? I was shocked though… It was MY MOM AND BROTHER!! WTF… And they didn’t just DROP HIM OFF but even waited for him to check in and boarding too… I wonder what will happen if we are in a fight, will I get my family support? Or will he? I know I told myself that I can only buy 2 BAGS a year, one in 6 months!! 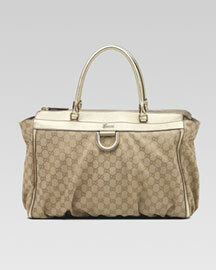 So that I have been waiting for the Gucci sale so impatiently!! And been hoping for the bags that I like will go on sale!! It doesn’t even look like a bag, it looks more like a PILLOW instead!! And it’s only for around AUD200? I guess it should NOT be considered as a BAG, right? ARRGGHHHH… I am going crazy soon… I am SO POOR, but heck I AM SO SICK!! I need my BAG-DICINE!!! I am so so so so disappointed at you, I can’t believe that you have been thinking like that, I have done so much and my best for all that I can, but in the end, you think that I don’t understand you, I don’t love you, I don’t care about you… VERY WELL SAID, MOM!!!! But, thanks for disappointing me too… THANK YOU VERY MUCH!!! !